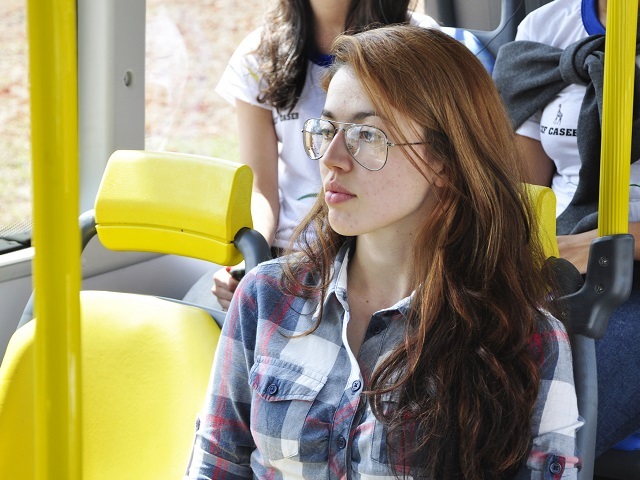 In Brasília, a new safety law lets women get off buses in places other than traditional bus stops after 10pm. Photo by Mariana Gil/EMBARQ Brasil. When deciding between modes of transport, travelers consider several variables, typically including convenience, cost, time, reliability, and comfort. Another consideration – which is particularly important for women – is perceived safety. No one prefers public transport if it requires walking far from home on a dark, deserted road, even if there is a low crime rate in the area. Instinctually, this still feels unsafe. Brasília, Brazil has adopted an important measure to improve women’s safety on public transport. As of June this year, women can request to get off buses anywhere along a route after 10pm – including areas that are not traditional bus stops. Buses are required to meet this request and display information to make users aware of this right. A study on urban mobility in Brasília sought to understand which characteristics can best predict a user’s transport behavior. The study found that user preferences result from a combination of how transit services themselves are designed – including route locations, cost, and convenience – and the user’s profile – his or her gender, age, income, and reason for traveling. 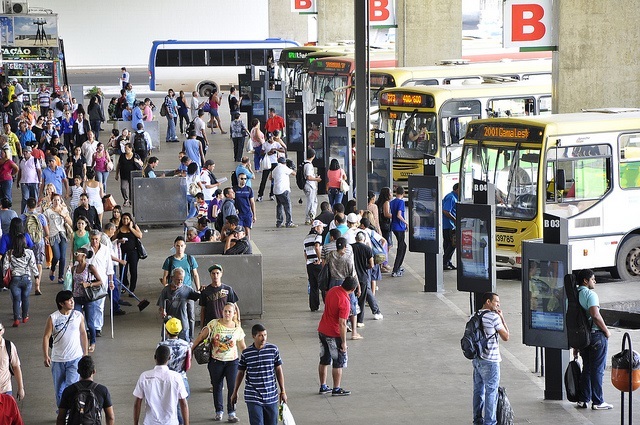 Brasília’s new law helps its transport system better serve users without requiring significant investments in new infrastructure. “The bus stop is usually far away when I’m coming home from classes, and when I get off the bus there is almost nobody on the streets. I have to be careful when I walk alone,” said 19-year-old university student Amanda Stheffany Ferreira, as reported by the Brasília State Department of Transportation (DFTRANS). Amanda is now one of many who can get off her bus closer to home. This new measure reminds us of an issue that, while pressing, is often left unconsidered in designing and managing transport systems: gender. The United Nations Commission on the Status of Women has even created a working group focused on urban mobility. The commission found a male bias in the planning and implementation of transport systems, either because women do not have equal representation in all areas, or because the men in charge are not considering the issue of gender in system configuration. Every 12 seconds, a woman suffers sexual assault in Brazil, and sexual assault has grown 165% over the past five years. All options to reverse this alarming trend must be considered. The city government’s role is to provide mechanisms for preventing violence and defending citizens. Providing the option to get off buses closer to home will not solve the problem in its entirety. For example, harassment can even occur inside public transport vehicles – which cities must also work to prevent. But giving women flexibility to arrive closer to their destination, or in a better lit, less empty area, is a step in the right direction. Though only a small part of the solution, Brasília’s new law is a step in the right direction to prevent sexual assault and make urban transport safer for women. Photo by Mariana Gil/EMBARQ Brasil. This post originally appeared in Portuguese on TheCityFix Brasil.